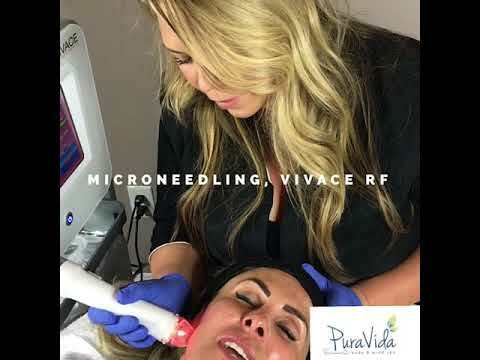 Vivace RF Microneedling incorporates robotic precision microneedling with radiofrequency heat and LED light therapy to produce skin tightening and improved skin tone and texture. This is a great anti-aging and acne scar treatment! This non-surgical treatment is a favorite at Pura Vida Body & Mind Spa in Fleming Island Florida.